Many plumbing issues in Dubai come down to blocked toilets, with most problems being easily solved. Always remember that only bodily waste and toilet paper can be flushed down the toilet, and if you flush anything more substantial than that you will find yourself having to call a Dubai plumber sooner rather than later. One way to ensure all family members and guests adhere to this plumbing rule is to have a rubbish bin in every bathroom, so you won’t be left calling in the plumbing experts every time your toilet is blocked. A lot of the time people let all kinds of food go down the kitchen sink plughole, from pasta and rice to vegetables and oil. This can really clog up the drain and kitchen’s plumbing system and cause you a massive headache. To stop yourself having to call in a Dubai plumber, watch what you let go down the sink and invest in a strainer to automatically stop large chunks of food from going down your drain and into the plumbing system. Remember to never pour oil down the sink, as even a small cup full can solidify and rapidly block your drain and plumbing system. No matter how careful you are, drains in the bathroom and kitchen can sometimes become clogged. One of the main culprits is hair in shower and bath drains, as this is inevitable, regular and something that people do not realize can be silently clogging up the inside of their drains. Before you call in a Dubai plumber or plumbing company make sure that you cannot unblock the drains by yourself. Rather than immediately calling in a Dubai plumber, instead buy some drain un-blocker or mix hot water with baking soda and pour this solution down your plugholes. Even if you do not see any problem, it’s a good idea to do this every other month in order to keep the drains clear in your Dubai home and the plumber at bay. Whether it is the dishwasher or washing machine at your Dubai home, the hoses that bring in the water can crack over time and cause plumbing issues and major leaks. This can also cost you money in wasted water bills. If you want to ensure you’re not calling out a Dubai plumber due to this problem, make sure you check the machines’ hoses every 6 months or so, and have them replaced if you notice any signs of breakage or cracking. A lot of issues with your dishwasher and washing machine can be prevented, so take extra good care of them so you don’t find yourself calling in the Dubai plumbing professionals unnecessarily. One of the biggest and often most expensive plumbing issues is with boilers. When your boiler breaks, unfortunately there is nothing you can do except call in a Dubai plumber. When the boiler breaks it can cause havoc in a household, and often results in you calling in an emergency plumber, which can be more expensive. However, if you ensure you have your boiler serviced more or less once a year, then you will be able to keep them in top condition without having to call out any of Dubai’s plumbers. 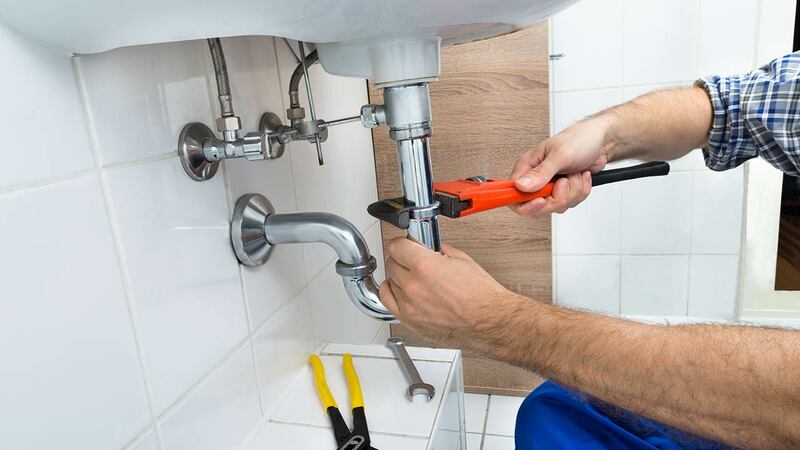 Wherever you live in Dubai, calling in a plumber will always be something you dread, as the majority of plumbing issues can create chaos in your home and cost you an arm and a leg. Just like ‘an apple a day keeps the doctor away’, with preventative measures you can avoid having to call in a plumber in Dubai as much as possible. By following these useful tips, your Dubai home will be clean, safe and plumber free! To make sure you’re hiring the right professional plumbing service in Dubai, visit the mrUsta plumbing category.